LUSH's ranges always seem to signal the start of a new season, or festive time. We all get super excited when the Halloween range comes out, because duh, that means Autumn is here, and I'm not even going to mention the Christmas range. But I actually think that the Valentines range is my favourite (wild, I know). It offers a bright little variety into the bleak dullness of Winter, reminds me that I probably ought to find a card for my OH right about now, and the pieces they bring out are just so cute. The Valentines range also holds my favourite bath bomb EVER. Yep. Lover Lamp is a dream for my bath. 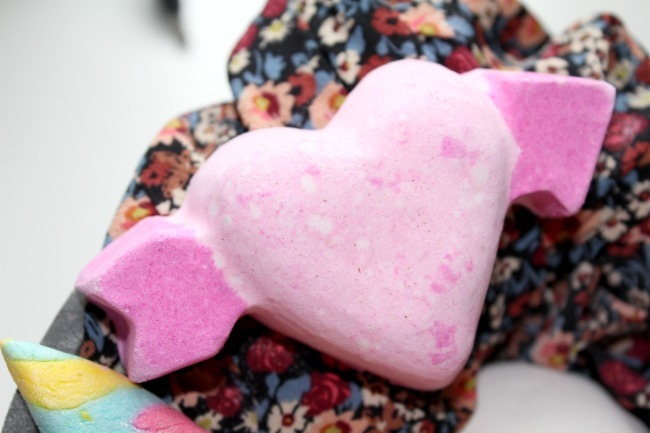 It makes your bath soft and milky, tiny little confetti hearts float about and larger ones sit on the top of your bath, ready to be used as tiny little soap capsules. Oh, and it smells like vanilla with a hint of sweet orange. I could smell it for days. This is one that I 100% need to stock up on to keep me going throughout the year. Also, if I could only ever use one bath bomb, this would be it. The other bath bomb I picked up is the complete opposite. Cupid moves away from sweetness into the floral side of life, smelling of rose and violet. Both this and Unicorn Horn surprised me with their scents. I was expecting something sweet and sickly, and came away with subtle, musky scents. 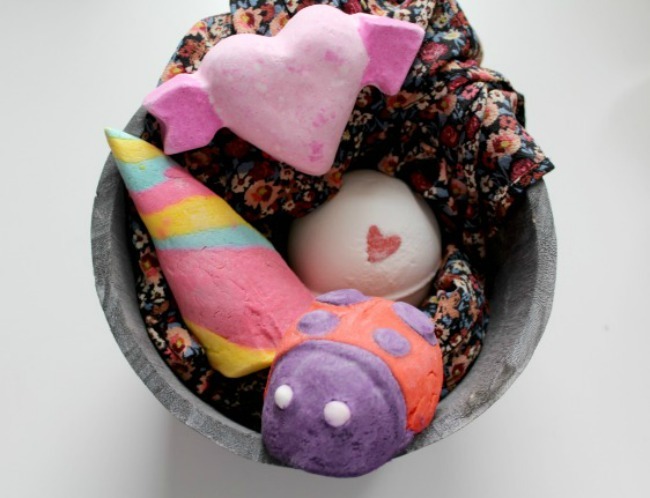 Unicorn Horn contains lavender oil (my all time fave) and ylang ylang oil to keep your skin super soft. I'm tempted to pair these two for a soothing floral bath when I'm feeling really stressed. And finally we have a lil' love bug. 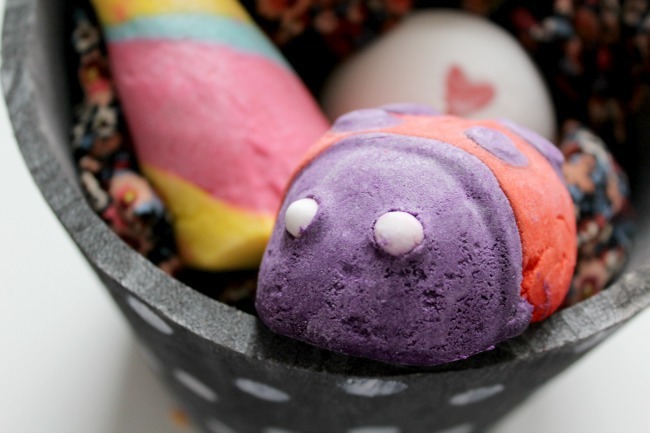 The Ladybird bubble bar is one that I've not tried before, but I've already fallen in love with the way it smells. Despite having a floral-y base, it contains a sweet, subtle peppermint scent that I just know will make me feel refreshed and happy in the bath. I'm not a big fan of minty scents - they always seem a little too harsh and overpowering, but this one is just right. 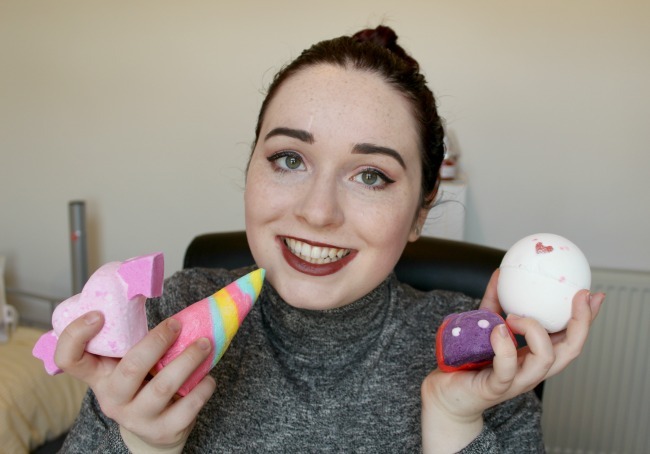 What have you been eyeing up in LUSH's new range?